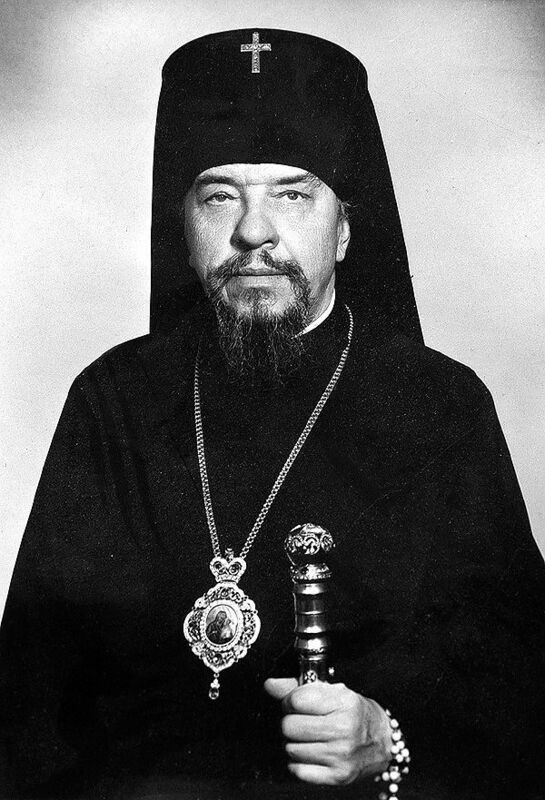 Friday, December 14, 2012 marks the 32nd anniversary of the repose of His Eminence, Archbishop Kiprian [Borisevich] of Philadelphia and Eastern Pennsylvania. His Beatitude, Metropolitan Tikhon, will celebrate a Panikhida in his memory to mark the anniversary. Archbishop Kiprian was born Boris Pavlovich Borisevich in Kholm, Russia [today Poland] on August 15, 1903. He pursued studies at the Theological Seminary in Volyn, then eastern Poland, from which he graduated in 1925. He continued his education at the Orthodox Theological Faculty of the University of Warsaw. In 1931, he received a Masters Degree in Theology. After his marriage in 1927 and ordination the following year, he was assigned to a parish in the town of Lopusho. From 1929 until 1939, he served in a number of diocesan level positions, including Supervisor of Religious Education in a secondary school, diocesan missionary, and cathedral sacristan. In 1939, he was transferred as Supervisor of Religious Education to Vilno in northeastern Poland [today Vilnius, Lithuania] until 1940. As World War II progressed, he and his wife moved west, so that as the war ended, they found themselves in western Europe. Ministering to refugees and displaced persons, he helped organize parishes in Linz, Austria, and in Augsburg, Germany. He and his wife arrived in the United States in July 1949, and he began serving parishes of the "Metropolia," as the Orthodox Church in America was commonly known at that time. In 1950, he was assigned to Holy Trinity Church, Kansas City, MO. 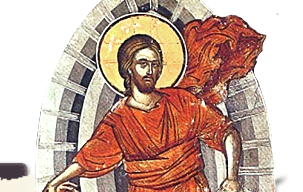 Three years later, he was assigned to Saint Andrew Church, Baltimore, MD, which he served until his reassignment to Holy Assumption Church, Stamford, CT in 1959. After the repose of his wife in 1961, he took monastic vows with the name Kiprian and consecrated to the episcopacy. He was assigned Bishop of Washington and Vicar to the Metropolitan with duties as the rector of Saint Tikhon's Seminary, South Canaan, PA. In 1964, he was elected Bishop of Philadelphia and Eastern Pennsylvania. In 1970, he was elevated to the dignity of Archbishop and served as a member of the Lesser Synod of Bishops and Chairman of the Department of External Affairs. As seminary rector, Archbishop Kiprian helped in the formation of a generation of clergy who are still serving the Orthodox Church in America today. Archbishop Kiprian fell asleep in the Lord on December 14, 1980. He is interred at Saint Tikhon's Monastery Cemetery, South Canaan, PA.
May Archbishop Kiprian's memory be eternal!